Radigue was born in a modest family of merchants and raised in Paris at Les Halles. She later married the French-born American artist Arman with whom she lived in Nice while raising their three children, before returning to Paris in 1967. She had studied piano and was already composing before hearing a broadcast by the founder of musique concrète Pierre Schaeffer. She soon met him, and in the early ’50s and became his student, working periodically at the Studio d’Essai during visits to Paris. In the early 1960s, she was assistant to Pierre Henry, creating some of the sounds which appeared in his works. As her own work matured, Schaeffer and Henry felt that her use of microphone feedback and long tape loops was moving away from their ideals, though her singular practice was still related to their methods. Around 1970, she created her first synthesizer-based music in a studio she shared with Laurie Spiegel on a Buchla synthesizer installed by Morton Subotnick at NYU. Her goal at that point was to create a slow, purposeful „unfolding“ of sound, which she felt to be closer to the minimal composers of New York at the time than to the French musique concrète composers who had been her previous allies. After the premiere of Adnos I in 1974 at Mills College at the invitation of Robert Ashley, a group of visiting French music students suggested that her music was deeply related to meditation and that she should look into Tibetan Buddhism, two things she was not familiar with. 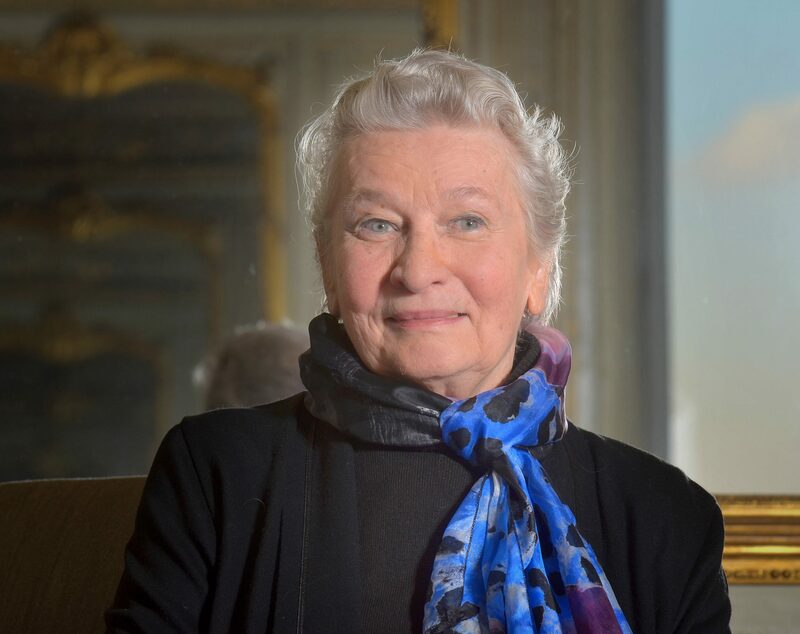 IIn the late 1980s and early 1990s, she devoted herself to a singular three-hour work, perhaps her masterpiece, the Trilogie de la Mort, of which the first part kyema Intermediate states follows the path of the continuum of the six states of consciousness. The work was influenced as much by the Tibetan Book of the Dead Bardo Thodol and her meditation practice, as by the deaths of Pawo Rinpoche and of her son Yves Arman (fr). The first third of the Trilogie, „Kyema“, was her first recording, released by Phill Niblock’s XI label. In 2000, she made her last electronic work in Paris, l’Ile Re-sonante, for which she received the Golden Nica Award at the festival Ars Electronica in 2006. In 2001, on request from the electric bass and composer Kasper T. Toeplitz, she created her first instrumental work, Elemental II, which she took up again with the laptop improvisation group The Lappetites. She participated in their first album Before the Libretto on the Quecksilber label in 2005. Since 2004 she has dedicated herself to works for acoustic instruments. First with the American cellist Charles Curtis, the first part of Naldjorlak was premiered in December 2005 in New York and later played in 25 concerts across the U.S. and Europe. The second part of Naldjorlak for the two basset horn players Carol Robinson and Bruno Martinez, was created in September 2007 at the Aarau Festival (Switzerland). The three musicians completed the third part of Naldjorlak with Radigue and premiered the complete work, „Naldjorlak I,II,III“, in Bordeaux on January 24, 2009. In June 2011 her composition for solo harp Occam I, written for the harpist Rhodri Davies, was premiered in London. Numerous solos and ensemble pieces in the OCCAM cycle have followed.